Bedbugs continue to plague the country as they spread out of control. It's difficult to keep them confined to a specific area since they're adept at hitchhiking to new locations. Once they're indoors, it doesn't take them long to move throughout a building and to infest every room. Bedbugs have a bad reputation, and we're here to bust certain myths that have spread over time. They only come out at night. Though bedbugs are active mostly at night, they will look for a blood meal during the day. If these pests are in couches and other places where people sit, any movement could draw the bugs from where they're hiding. They'll feed day or night depending on when they ate their last meal. They're only found in beds. Bedbugs are found in many different places, such as in couches, between bus cushions, in carpets and behind baseboards. They can even hide behind the picture frames on the walls in a hotel. These bugs are great at hiding and will use most any crack and crevice to conceal their presence. Bedbugs have never been known to transmit diseases through bites. In most cases, people with insect-bite sensitivities only develop large welts and rashes. Other people may not develop any symptoms whereas others develop itching and sleeplessness. According to a recent study, Penn Medicine researchers found that bedbugs could spread a parasite that causes Chagas disease. This disease occurs mostly in Latin America and is spread through the bug's feces. This news makes the bedbug as threatening as the kissing bug, which is responsible for spreading the same disease. Bedbug infestations cause problems for businesses and residences across the country. They can infest everything from a house to a taxi and multiply by the hundreds in a few months. Without professional bedbug control, these pests will continue to infest your living space, increasing the risk of you carrying them to other locations. 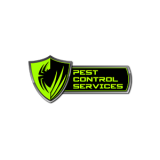 Pest Control Services provides residential treatments for bedbugs and will eliminate them from your home once and for all.